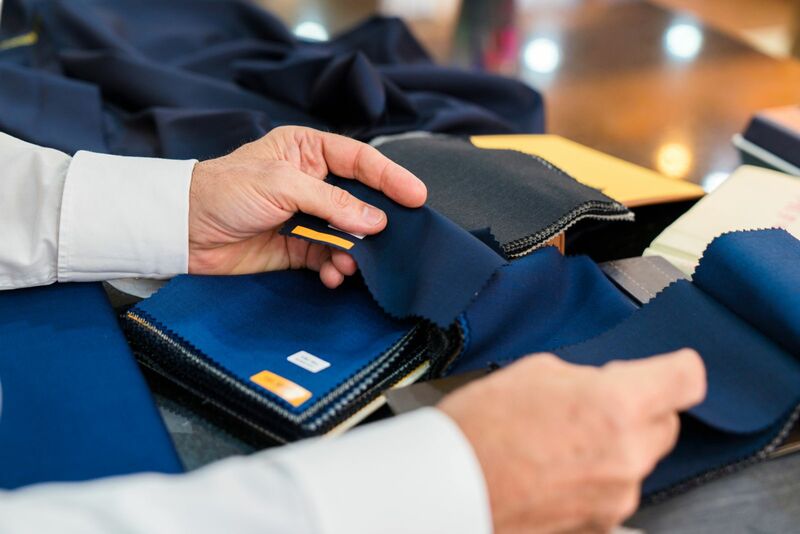 Throughout our conversations we will help you to discover whether you prefer Italian, English, or American style sensibilities, as that will usually inform your tailoring choices. We'll also discuss which custom items are your current priority. For some gentlemen, it could be suits, while others need to focus on trousers, coats, shirts, or a focal point item, such as an "odd vest." When you set your budget, we can help you consider how long each type of custom clothing tends to last, as well as how many of that item category you'll need. We customize our guidance during each stage of our work process, because it's our mission to clothe you with excellence.